Want to quickly see how the open-source software RunCMS works? 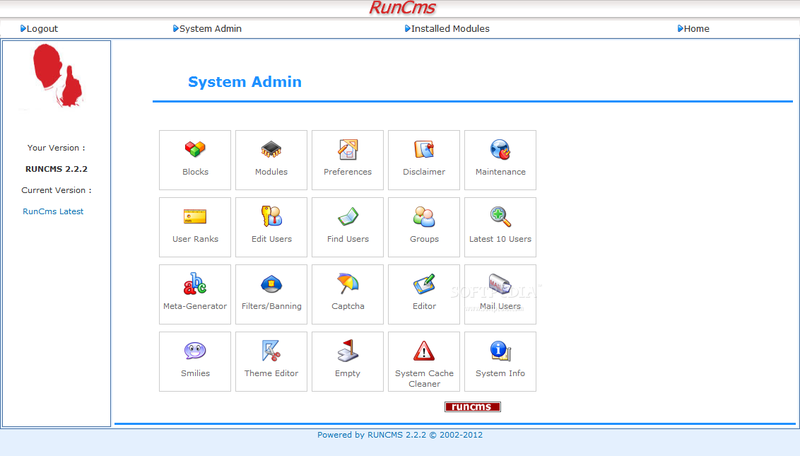 You'll find a free and updated demo installation of RunCMS here. 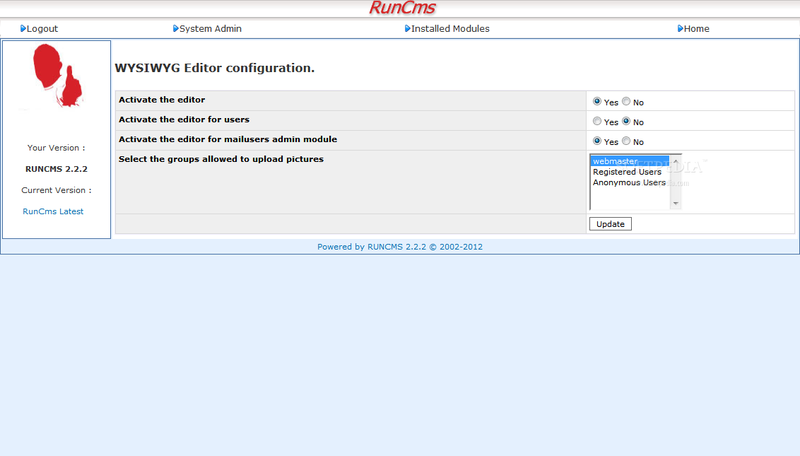 We are currently updating the RunCMS demo. Please check back shortly. There will be a new version up soon. RunCMS is a free content management system developed using PHP and PL/SQL as programming languages that supports a MySQl database. Generally RunCMS focused on deliver websites that stand out through speed, ease of use and flexibility. 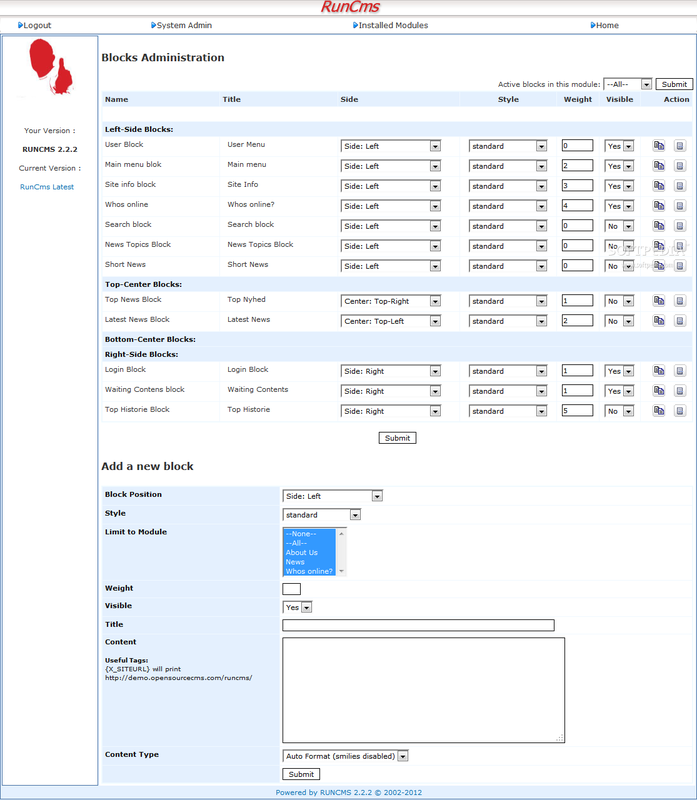 You can see what kind of features it has to offer by creating your own RunCMS demo. Just download it using the link below and go through the installation process. 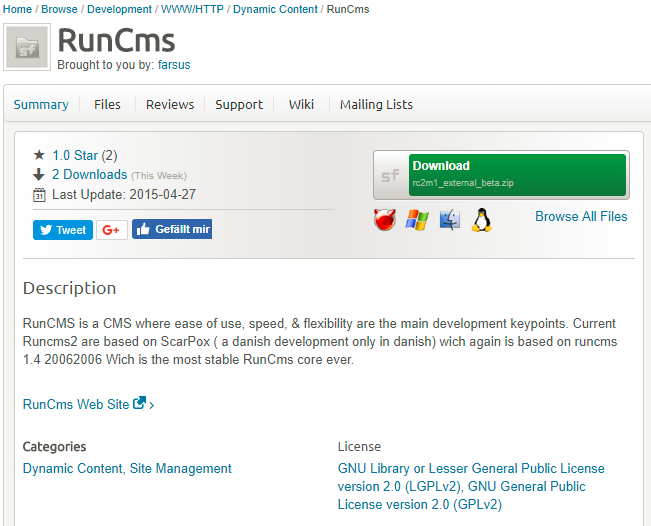 Keep in mind that the current version of RunCMS2 is based on ScarPox, which is based on on RunCMS 1.4. The latest version is 2.2.2 and was released on January 17, 2012. The screenshots below will give you a better idea of how the demo site looks like.